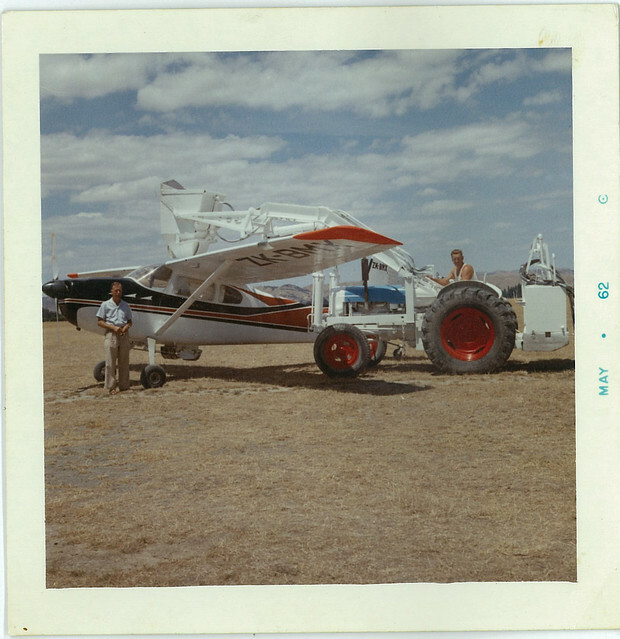 the slower Airtruk was sometimes holding up the faster Airtruk - at loading with the less tonnage as a result (and bonus) - at smoko the experienced pilot made the comment to Jim 'mate your an ag pilot, if you are not prepared to put your head in a noose you should n't be doing it'. Hells teeth:::: No pressure then!! Wonder if the senior guy is with us today?? Thinking old and bold etc. The English had hit upon a splendid joke. They intended to catch me or to bring me down. Depends on the era but there was a time when ag operations charged out on the 'ton mile system' where the farmer paid a set price for each ton spread,depending on how many miles the job was from the airstrip.With that system there wouldn't have been the pressure to cut time as there was under the hourly rate charge out system. Would have thought ton mile or hourly rate would be no pressure on the pilot ana all pressure on the farmers pocket ! A bit of historical perspective. In the early 1960s my father said (at the time) that he was paid 10 shillings for every ton of fertiliser flown off his strip which was located right beside the summit road on Banks Peninsula, between Hilltop hotel and the Pigeon Bay road turnoff (on the saddle between Pigeon Bay and Duvauchelle). Aircraft being operated at this time included C.180 BWK (Aerial Sowing, Ken Eden) and Pawnee 235 BYY (Airwork, Roger Crow). A while later Dad found out that other farmers in the general area were being paid one pound per ton. This probably has nothing to do with what the pilots in question were paid - I think the cost of using the strip fell on the owner of the property which was receiving the fertiliser, although this was possibly collected by the company from the client, then paid out to Dad. The great advantages of Dad's strip included its central location on the peninsula, its proximity to a good sealed road (about 50 metres away, which made delivery of the fertiliser very simple and safe), and its height above sea level, which meant that pilots, once airborne, were practically already at or above the height of just about all properties requiring applications, in fact for many jobs the pilot simply dropped off the end of the strip (which must have been about 1,000 feet above sea level) and cruised to the dropping area. However cross winds could be an issue, but as spreading fertiliser normally required nil wind (farmers hated seeing "their" fertiliser being blown onto their neighbour's land, or onto parts of their own land that did not require it). Dad sometimes watched the topdressing operations, but could only be there a fraction of the time, so he probably could not personally check on the actual tonnage dropped, so had to rely on the honesty of the topdressing company. I imagine that the latter simply relied on the amount of fertiliser (in tons) trucked to the bin, to get the tonnage figures. What pilots were paid was between them and their employer (the company). You could probably count the number of sorties the aircraft was flying (even if there were two of them on the same job) but this could only give the roughest estimate, as the actual payload on any particular flight was at the discretion of the pilot. However if conditions were near to ideal, it was almost certainly the case that the maximum load was aboard. On a still autumn day, the sound of a C.180 in particular at full power in fine pitch carried a great distance. However if there was just too much wind drift, the planes were grounded, waiting it out. That's a complicated way to do what Flickr makes easy!! Click the pretty cartoon arrow, per this helpful post at UK Airshow Review - as you obviously have the photos in Flickr already, start at step 6.